Here some of the projects I have worked on or directly managed. I created and managed a rumors tracking system in Liberia during the 2015/2015 Ebola crisis in collaboration with UNICEF. The project used a total of more than 25,000 monitors across the country to identify rumors potentially dangerous for the local population safety, and fast tracking them to humanitarian responders and local media to develop information strategies to address them. The project was implemented by Internews under HC3, a USAID funded consortium. 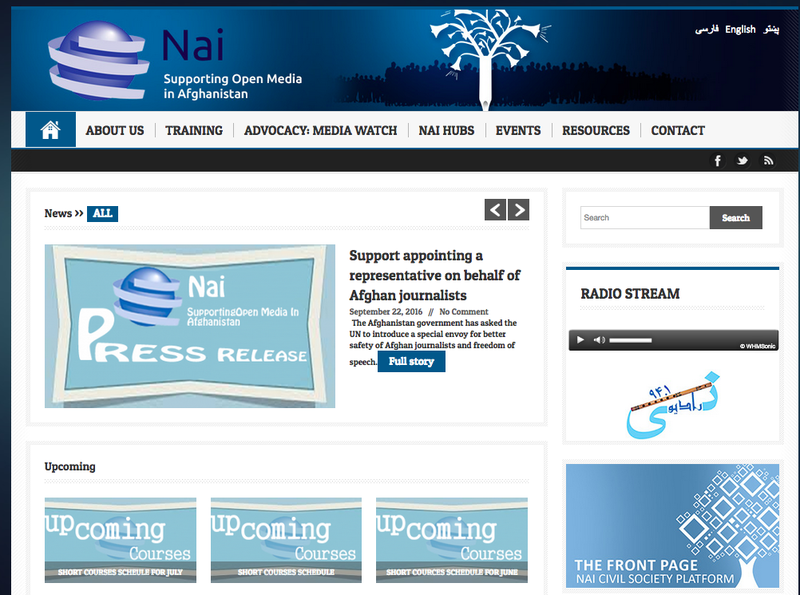 I worked as a technology advisor for the Internews long-standing partner Nai: Supporting Open Media in Afghanistan to create a new, visual and interactive approach to elections monitoring and coverage in Afghanistan. With the National Democratic Institute (NDI), a mapping project was created to aggregate election information on a Ushahidi map platform open to the public. The project was funded by the US Agency for International Development (USAID) under the Strengthening Political Entities and Civil Society (SPECS) project through the National Democratic Institute. 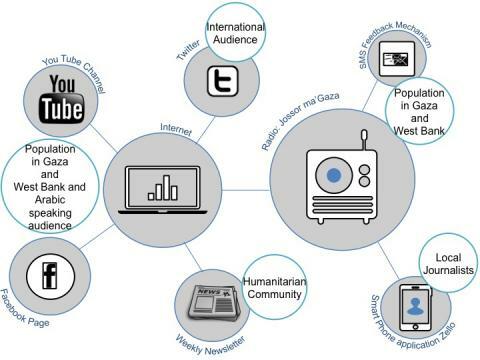 I set up and managed the beneficiaries’ information data collection and analysis of the Internews Gaza Humanitarian Information Service project funded under the rapid response funding mechanism from DFID. The program aimed at providing affected communities in Gaza with reliable, verified and timely information that could support them in making better-informed decisions. To do so, Internews used an already proved and tested approach that is based on different components and different communication channels. I worked with the Internews Central Africa Republic project to release a new version of a crisis map for the Central African Republic (CAR) that displayed, on a daily basis, humanitarian information collected from across the country by local journalists from Internews’ partner, the Association of Journalists for Human Rights (RJDH). The map, originally created in 2012, under the HIF funded mechanism was than re-developed under Internews’ CAR project – “Support to local media to provide information to the most vulnerable in the Central African Republic,”. The project was funded by the Humanitarian Innovation fund in 2012 and by USAID in 2014. I worked on the set up of the beneficiaries communication part of the Internews Dadaab Humanitarian Information Service (HIS), a project aiming at addressing the information needs of the refugees population through empowering local journalists to report on the issues relevant to their communities, and creates a platform for feedback with humanitarian stakeholders in the camps. The project throughout a partnership with Souktel provided the Humanitarian Information Service in Dadaab with key mobile technology components to directly communicate with local communities using mobile phones. After testing the use of mobile technology for data collection in a humanitarian setting, I designed and implemented this project to test which humanitarian mobile data gathering kit would best support a research team conducting Humanitarian Information Needs Assessments. More importantly, I tested which hardware and software technology could enable a research team – in the midst of a crisis – to easily train local researchers on the ground to collect, aggregate, share and analyze information within the time span of a week. The Internews The Covering Energy project trained journalists and community service organization staff in the fundamentals of the oil industry and has dramatically enhanced their understanding of the complex technical issues surrounding the extraction industry. 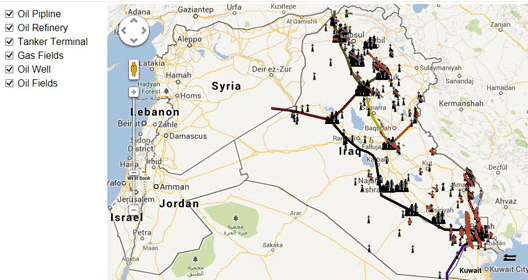 As part of this project, I trained journalists on using social media and ICTs for reporting and supported in the creation of an interactive map to reveal Iraq’s Oil infrastructure. In 2012 and 2013 Internews hosted two “innovation labs” in Kabul as part of its USAID-funded “Afghanistan Media Development and Empowerment Project.” The events brought together Afghan experts in the fields of information communication technology (ICT), media, government, civil society and business development with a view to incubating new media and technological innovations that would have lasting socio-economic benefits for Afghanistan. 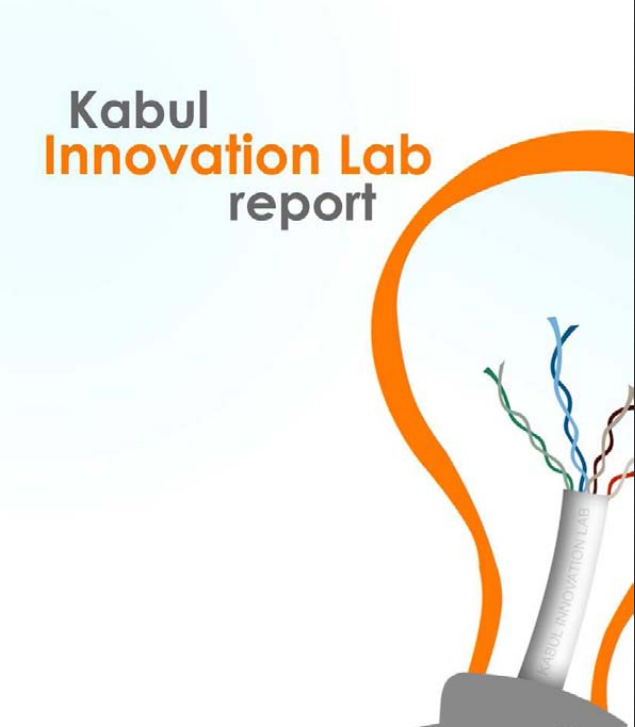 I worked as a technical advisor for the first Innovation Labs in Kabul in 2012. 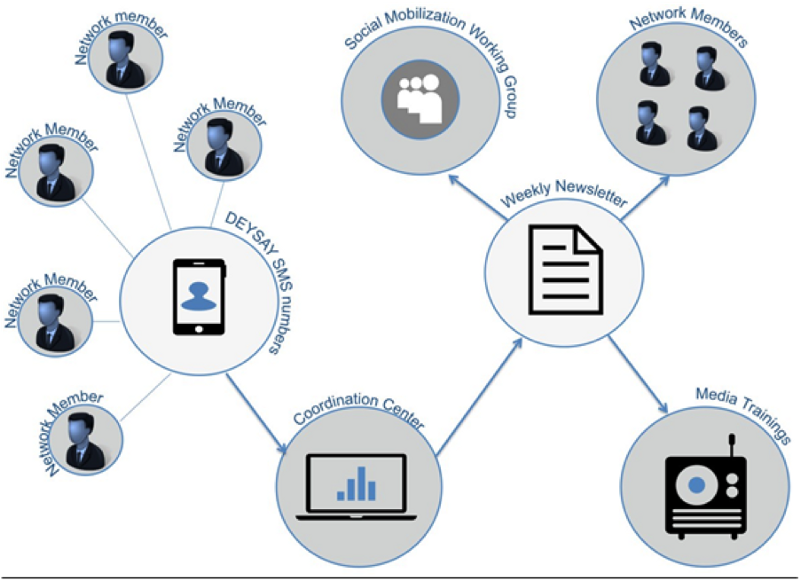 I managed and implemented the Internews Mobile2Radio project “Connecting Local Media, Humanitarian Actors and Communities Through Innovative Communication Flows”. The project, under the United States Institute for Peace Communication for Peacebuilding priority grant program (CfP) supported innovative practice and research designed to increase understanding of how communication flows and communication technology can best be leveraged to improve the practice of peace-building to create a reliable, predictable and sustainable system that will allow local media to gather, in real time, first-hand information from affected populations and channel it to the humanitarian community using new technologies while establishing a complimentary two-way communication flow with communities affected by conflict and violence. 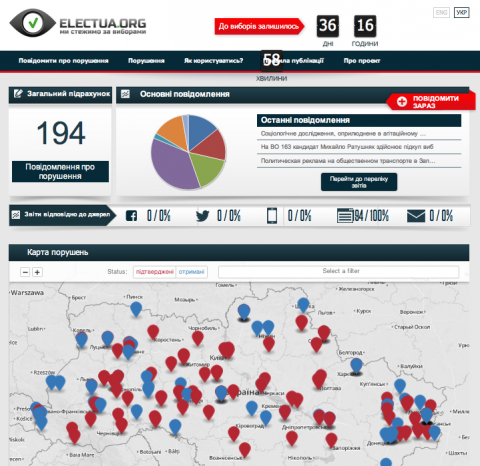 I supported Internews Ukraine, a local NGO supported by Internews, to run an election monitoring project throughout the entire country by using a mix of crowdsourcing, professional electoral monitoring, and media monitoring, leveraging the use of new technologies like mobile phones, social media and the internet. The Crowdsourcing platform was created by CityVox, a company that created a proprietary platform that allows for complex data filtering, tagging and processing in the back end, combined with customizable user interfaces. The user interface of the platform is being build by Development Seed. 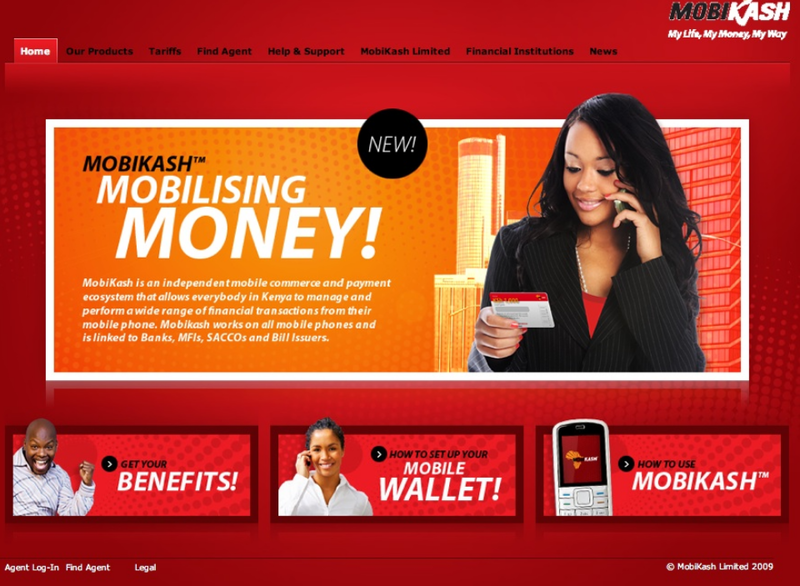 I developed and designed in Kenya, Nairobi through the Internews Center for Innovation and Learning, and in partnership with MobiKash and local radio stations, a project called mDedications . The project piloted a new technology designed to enable community members to call their local radio stations, record a message through an IVR system, and pay for this message using mobile money. See more here: WannaKonnect Project Proof of Concept: Positive Outcomes & Challenges and Challenges of Private Sector Partnerships to Create & Implement New Technologies. I supported remotely this pilot project, implemented in Nigeria, in collaboration with the Center for Environment Human Rights and Development,a rural-based and rural-focused non-profit organization working on the Niger Delta region of Nigeria. The project was implemented to support the creation of a human rights monitoring system based on the use of the mesh network technology. 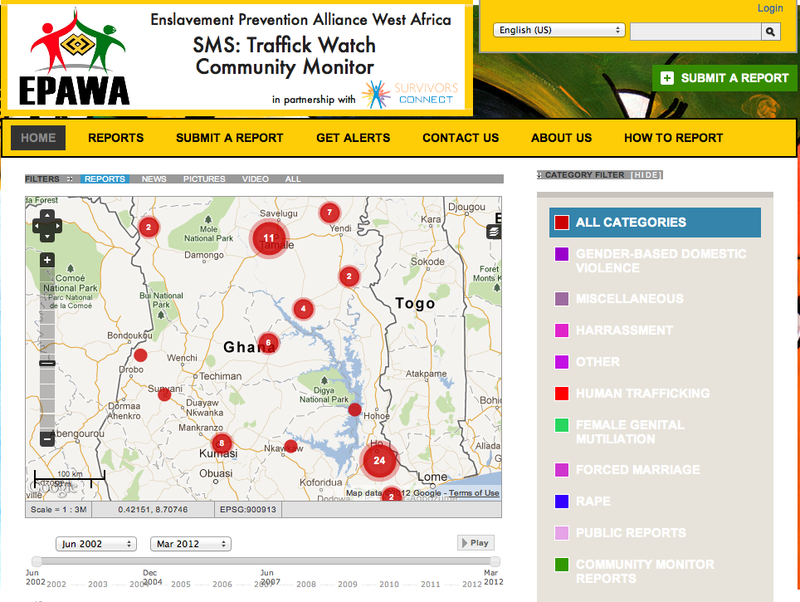 I supported Enslavement Prevention Alliance West Africa (EPAWA), a nonprofit organization from Ghana, to train monitors to report cases of human trafficking and domestic violence in real time to the EPAWA headquarter in Accra through two open source software applications: FrontlineSMS and Ushahidi. I worked as the main project lead for this pilot project, conceived in February 2011 as part of a unique government – NGO partnership, the Beijing Transport Research Center (BTRC) collaborated with Friends of Nature (FON), China’s longest standing environmental NGO, and Nairobi-based technology provider Ushahidi with support from the World Bank, to create an online urban transport public feedback portal. 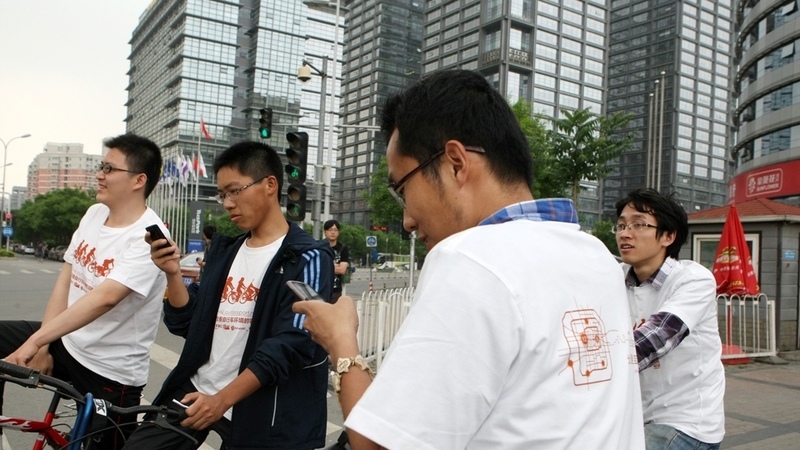 The project aimed to utilize the prevalence of cellular phones (and other mobile devices) and a crowdsourcing methodology to change the way urban transport improvements are conceived, planned for, and delivered in Beijing, China. I am the co-founder of the Standby Task Force, a network of volunteers that was formed in 2011 to provide volunteer online digital responses to humanitarian crises, local emergencies, and issues of local or global concern. Since its foundation the SBTF had responded to more than 30 major emergencies across the globe. 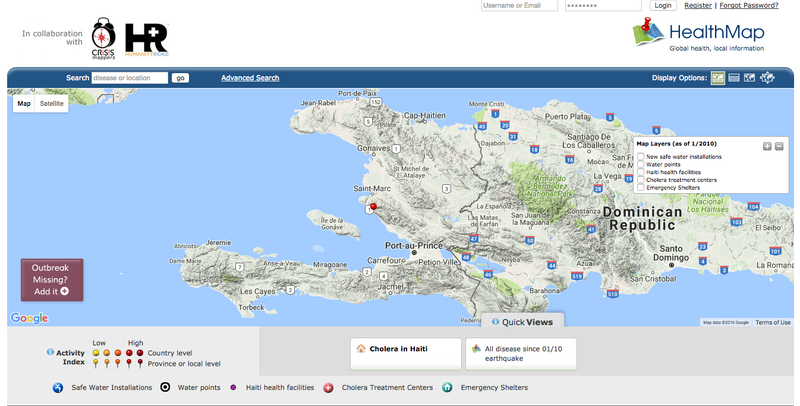 I worked on this project in collaboration with Health Map and Humanity Road to respond to the Cholera crisis in Haiti. As a Strategic Advisor I worked to support the integration of volunteers based information and Crisis Mappers project with the existing Health Map methodology and on-going mapping of the outbreak. I worked as Strategic Consultant and Trainer for, the Development and Institutionalization Support Center (DISC), an Egyptian group based in Cairo that launched the U-Shahid project—using both crowdsourcing and “blogger-sourcing.” During the project 250 bloggers and activists in five key cities around Egypt monitored the elections and report their observations in real-time on a live map. 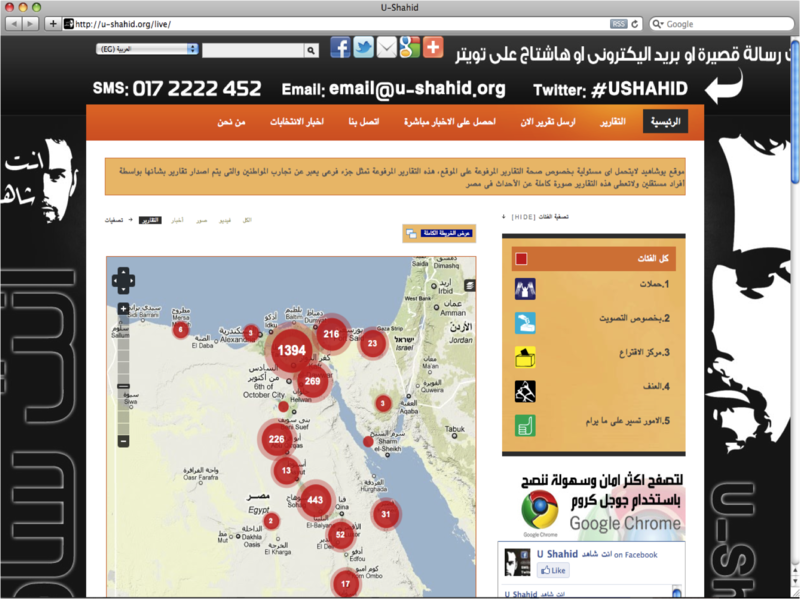 The outcome of the project was more than 2700 reports of violation verified, that resulted in 150 court cases in Egypt. The project was funded by Freedom House. 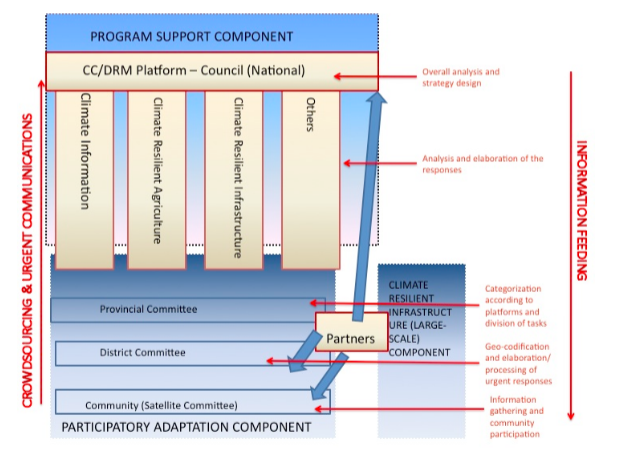 The Pilot Program for Climate Resilience (PPCR) is designed to pilot and demonstrate ways to integrate climate risk and resilience into developing countries’ core development policies, plans and programs. In Zambia, the PPCR is led by the Government and is expected to be financed through Government budget, Multilateral Development Banks (MDBs), and leverage ongoing activities funded by other Cooperating Partners (including the UN), private sector and civil society. I worked as consultant for the World Bank to integrate citizens feedback and traditional knowledge into the process through the use of ICTs, mapping and mobile technology, that fed into the Participatory Adaptation part of the two programs. 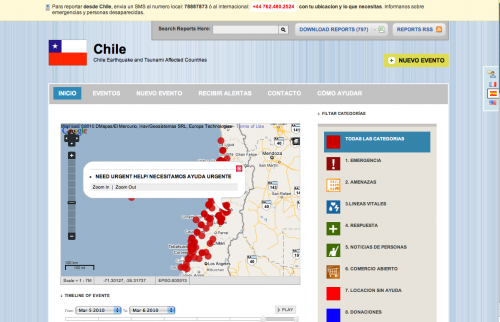 I worked as the Director and Crisis Mapping Coordinator for the Chile – Ushahidi platform. During that project I managed a team of more than 300 SIPA students that used crowdsourcing and media monitoring to respond to the earthquake of 28th February, 2010. 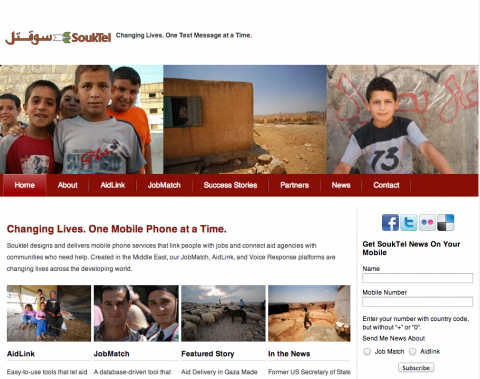 The project was funded by the Mozilla Foundation. 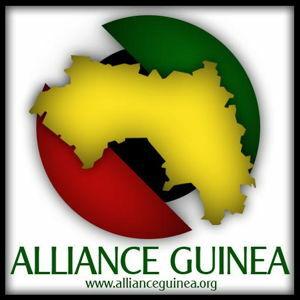 I worked as Strategic Consultant for Alliance Guinea and AfricanElections.org, for an Election Monitoring project in partnership with the National Independent Election Commission and others in Guinea. 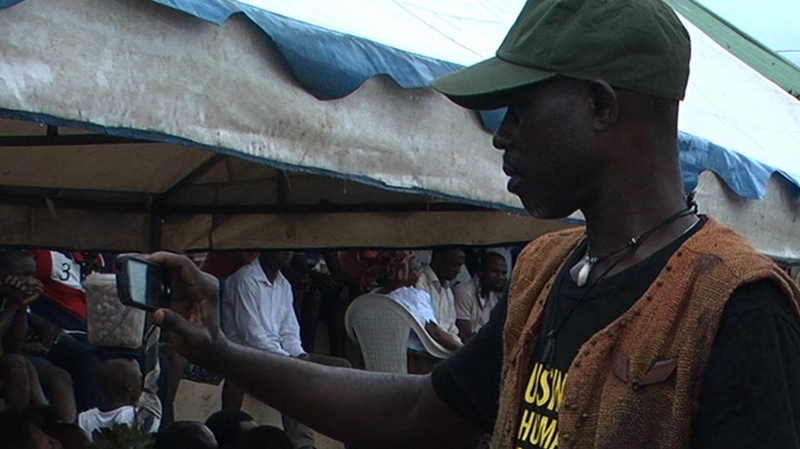 The “Guinea Vote 2010 Witness” project was an SMS and internet- based election monitoring effort using Ushahidi technology. Through GV10 Witness, election monitors, journalists, and ordinary citizens on the ground in Guinea will be able to use their cell phones to share information about election challenges and successes with the entire world. The project was funded by USA Embassy in Guinea. Worked as a remote Volunteers Coordinator for the PakReport platform on the 2010 flood in Pakistan, which claimed over 1600 lives and displaced over 18 million individuals. 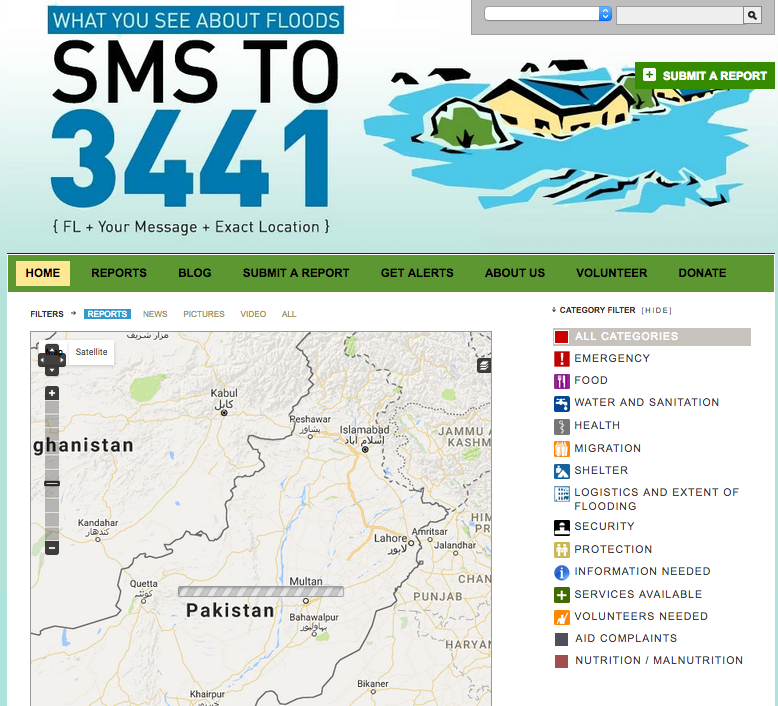 To overcome humanitarian information gaps, the Pakistan Flood Incident Reporting was launched immediately after the recent floods. 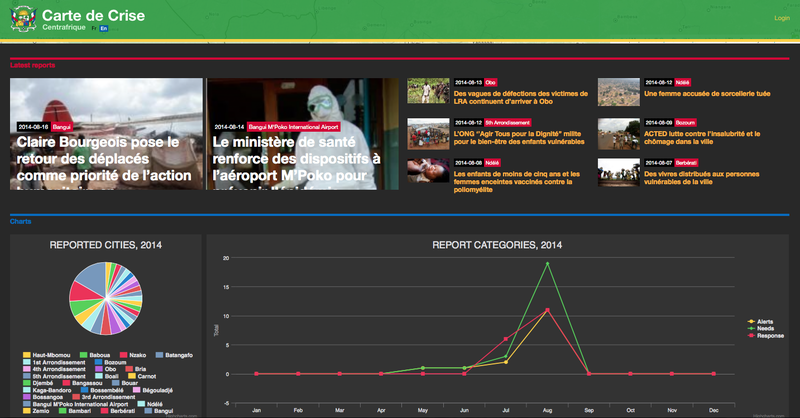 PakReport was a data portal designed to gather comprehensive and dynamic information on disaster-related variables. The website identified key information to facilitate better long-term policy analysis and feed those information to UNOCHA and other humanitarian organizations.